Height is 760mm from floor to top of radiator. Wonderful service. Had an issue which was our error and this was put right without any hassle. Couldn't be happier with the radiator too. All the radiator look great. We haven’t had them installed yet but so far so good. One think I wasn’t too impressed with was the delivery service. It was very expensive for a service you don’t get to choose a delivery date for. I phoned them twice to get a rough estimate on delivery time but they never got back to me. Driver ended up having to leave them outside. That’s the only thing that has made me a bit disappointed with the service. CIRC Reply. Thank you for your feedback. Although it sounds a little too late this time, we can offer a dedictaed day delivery when requested, so please feel to indicate this whne order placed. Regards, the CIRC Team. 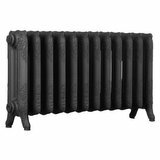 We're pleased you would like to review Traditional Victorian 4 Column 760mm Cast Iron Radiator. Bought radiators from the company approx 7 year ago with 10 year warranty. The company were very professional and Paul was great from the start when I had a problem with two of the radiators. Two new radiators were sent out to me within 2 weeks of contacting them. Fantastic customer service. Thanks again. Fantastic quality and communication regarding our order was spot on. Fantastic service! !, turn round timing was brilliant!! really helped me out so fitter could finish job on time. Highly recommend!! From my initial phone call, which was with very helpful & with friendly staff, to keeping me updated during the process of making our radiators, we're very happy with the support we received. We're even more impressed with the quality of the radiators that were delivered. They're of excellent quality & look fabulous. If you're looking for traditional cast iron, superb looking radiators then I would highly recommend you consider the Cast Iron Radiator Centre. Excellent service throughout, great communication and a fantastic product extremely pleased. Would highly recommend. 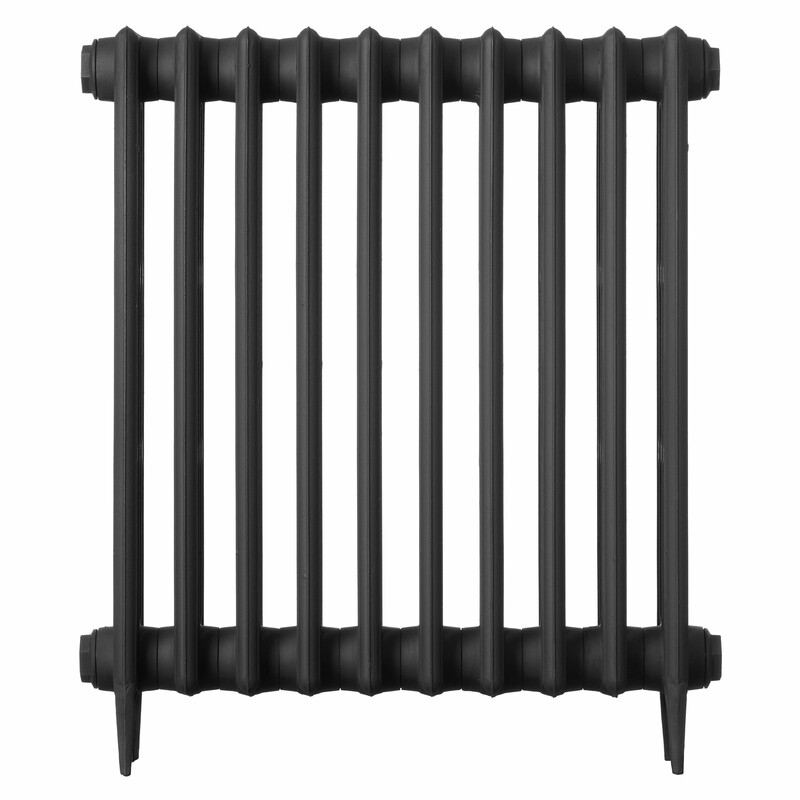 Radiator is just beautiful. 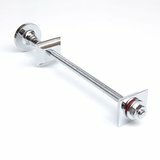 Ordering and delivery was easy and we were kept informed at all stages of progress. The radiator looks great, it’s well made (very heavy!) and we love it. The heat output is excellent. Would highly recommend Cast Iron Radiator Centre. Brilliant product and service, as usual. We couldn't be happier with our radiators. excellent service from start to finish. Updated continuously of the progress of the build, painting and testing process. Delivered on time as stated. Just been installed in my freshly decorated room and wow. Fitted with the nickel valves, shrouds and wall retainers and it looks truly amazing. What a buy and adds real class to a room. 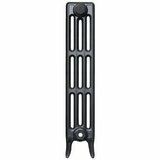 This is my third order from Cast Iron Radiators. I've found their customer service to be excellent. The products a better solution than reclaimed radiators which could go wrong. A speedy delivery (within two days). Would recommend and will be using again. Excellent product, looks fantastic in our Georgian house and adds to the decor. Speedy service and good value too. Excellent radiator, very pleased with it. 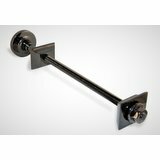 Exceptional quality and workmanship! After sales help and advice was out of this world. Awesome Rads! The first one I fitted was ordered by the customer and I’ve just ordered and fitted a second this week! They look great in the primer. No doubt even better with a lick of paint! The traditional rad valves are really worth the money and considering a normal plastic set are still about 20 quid, I wouldn’t skimp on them. I’d go for the more expensive wall ties. Fitted both types and the more expensive type are both more secure and better looking! But most importantly, they kick out the heat!!!! 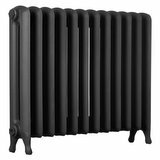 We live in a traditional Edwardian house and bought 3 radiators last October. We were so pleased with them that we bought another 2 in February. They are all excellent and look as though they have always been there. The company were very helpful when we had questions to ask. One small detail: they only deliver to kerbside, so if you have bought large radiators then make sure you have a way of getting them into your house. They are very heavy. Threads in the rad were good and new fittings worked well. Purchased on Line and very happy with the service I received. Helpful company to deal with, informed throughout process of the order and delivery. Very competitive price and the radiator looks really lovely in our new shower room. Love the colour Gun metal Grey. Would recommend this company. The paint finish and qualty on the radiators is superb. I have used other companies in the past who charge nearly twice as much for badly finished radiators , full of millscale, that you have to put together yourself. They kept us informed throughout the process. Lovely radiator & excellent service! Found this Company a pleasure to deal with and both radiators are beautiful! The transaction could not have been easier. The website was first class and helpful. The service was exceptional and delivery as promised. 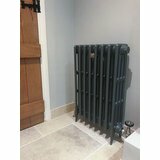 We love our radiators after fitting our multi burning stove the radiators really finish the room, We were kept up to date by e mail with every movement and would recommend cast iron radiators every time. Well done guys. We have been very pleased with the service and the product. The rads complement the house well. Would highly recommend. Excellent service and a very fast delivery, the radiators were very well packaged and protected for delivery. 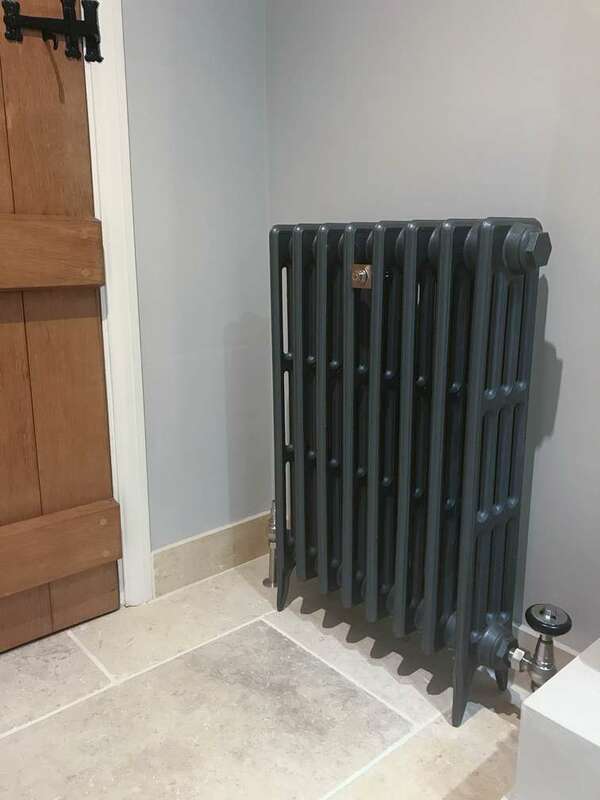 The requested paint finish was perfect and we are very happy with the overall look and style of the radiators and chrome period style valves. It will be a while before we are ready to get them plumbed in and up and running but we are not anticipating any problems as externally they look absolutly fantastic. We have just fitted our 4 cast iron rads and accessories. The rads look great and the valves compliment the effect. Really pleased with the product, service, and delivery. Would use again. I am very happy indeed with the look of the radiators and the finish, although not plumbed in as yet. V smart. So much better than modern radiators in a period property. Courier service was also efficient given my home is on a busy road with restricted parking, he just pulled up outside and unloaded. Good customer service. The order was dealt with efficiently and as agreed. I was recommended to the company by a family member who also said he received great service. Fitted radiator, unfortunately leaked so called company who were apologetic & replaced & deliverd a new radiator within a week. Very happy with this purchase. Looks great and seems to have a very nice finish. Took slightly longer than I expected, but that was me not reading properly. Took around 3 weeks which was fine for me as I wasn't in a hurry. Good product, Good price and well delivered. For once a company that does what it says on the tin !!!!. Very good quality, nice prep and paint. My second radiator so far and many more to come. Excellent product looks fab 10 out of 10. I have used ths site before and was pleased with the radiators. They look really good and they are resonable in price. After receiving a badly made scratched radiator from another company I got 3 from this company for not that much more money. They were very helpful in advising me. I hope to buy more from them in the future and would highly recommend. Excellent product at great price. Look as good as originals and delivered on time. Excellent radiators, was kept up to date with the delivery. Would use again. Very pleased with the radiators and valves I ordered, customer service was excellent with regular email updates. I will definitely recommend the company and products. I am so pleased with the radiators and the service I received from your company, from the phone call to the very regular email updates. Will defenienly use and recommend you again. This is my third order and counting from the cast iron radiator centre. In terms of service and quality of product ive not come across many companies who can match them. The team are super friendly and helpful, the prices are unbeatable and the radiators are absolutely top drawer. Cheers guys, will be back soon! This is the 4th cast iron radiator I have had from Coventry Demolition. Couldn't be happier with their product. Not only do they look good but the quality is second to none. Good looking radiator and works perfectly. Have to be careful as they do get quite hot. Service is great as you are kept up to date on where your order is in the process. Price is much better than other sites. Really pleased with the radiators looking really good. 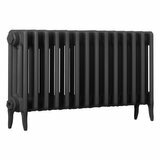 These radiators are a feature for any room - they're beautifully made and look great. They were ready a lot quicker than I thought and the delivery was great - they are really heavy though so do make sure you have someone to help you. I'm very happy! Service was fantastic and efficient. Very helpful and will be buying more radiators in the future. 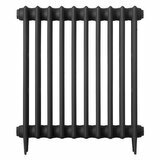 Very stylish, beautiful radiators. Fast delivery, great communication. Thank you very much! Lovely to look at and wonderfully warm, good value, just what I needed. 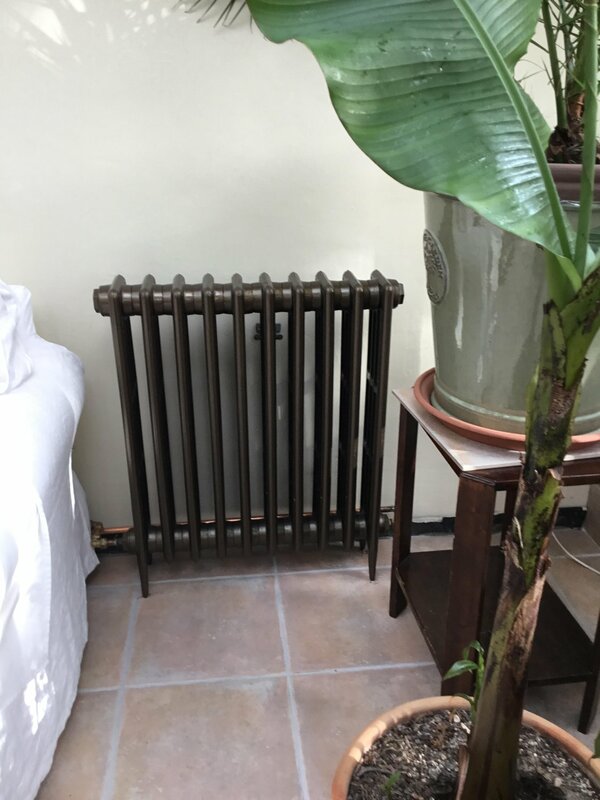 I've been looking for old cast iron radiators for months and buying reclaimed and having them flushed out and re painted would certainly work out more expensive. 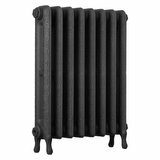 These radiators are brand new but just like the old cast iron radiators and a great quality and very heavy. I would certainly recommend, a quick a friendly service who are there to help. Really happy with the radiators. Ordered them in matt black which looks lovely and a real focal point in the room. 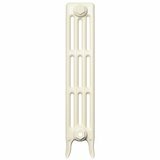 We've purchased a few radiators and accessories to start with and found the staff very helpful, useful BTU calculator on the web site and the radiators look superb. Very well put together and finished. Will be buying for the next phase for the project to complete the look. We highly recommend this company for its service and products. I've been waiting until I had the radiator fitted before leaving a review. It certainly looked great when it arrived, but I wanted to see how it performed. Luckily, it performs as well as it looks. The radiator it replaced was a modern double panel of the same length, and the performance difference is absolutely incredible. It takes a while to heat up, but when it does it really pumps out the heat. Will be replacing the rest of the radiators in my house with the same model as soon as I can. Can't fault it. Just received my cast iron radiator in Pewter. Very good quality and a real focal point. 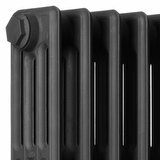 I scoured the internet before purchasing and this company was by far the most competitive, due to the quality and output of the radiator. I will be purchasing more as we renovate our property room by room, and wouldn't purchase anywhere else. 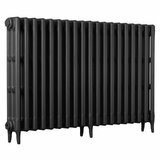 Bought 2 large radiators for our very large loft conversion, they look absolutely stunning and within minutes of turning the heat on the room is toastie warm they throw out so much heat we have decided to buy some more and put them in all our rooms as and when we decorate them. The service from this company has been excellent, we were kept up to date with delivery times and they were bang on time with their estimated delivery quoted at order point . 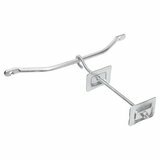 We had a small issue with one of the bushends leaking slightly, I called them and they sent one out that day, it arrived the next morning. Highly recommend the product and the company, very happy customer. Bought the Victorian 4 column 760mm -11 section in antique bronze to finish off the hallway which has been recently renovated . Fitted the rad a few days ago and it looks fantastic , very classy and a real focal point . Had positive comments from most who walk past when entering the house . 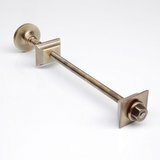 I am a plumber and found the radiator , Bentley trv set , pipe shrouds and wall stays all in antique brass to be of the highest quality . Very happy with this product , which was delivered within the time allocated , and would recommend . Point to note that the antique bronze colour shown on the website is lighter than the actual colour of the rad which I was glad about as I feel it looks better darker . This is the 3rd of these rads that I've used in a slow, piecemeal renovation that has been ongoing for years. Delighted with it, as I am with the others - delivery is always far swifter than indicated when ordering and no fuss. Excellent value, perfect for purpose. Will happily continue adding to the 3 in my slow and piecemeal way. Great, good value and delivered earlier than the quoted delivery time. Delivery came within specified time and it looks great. Really delighted with the radiators and valves. Service was second to none, my questions answered promptly and without fuss. Delivery was exactly as promised. Absolutely no complaints. Fantastic product at an unbeatable price. Highly recommended! Completely delighted with both the service and the quality and look of these radiators - they look fantastic. Couldn't be happier. Good rads and top notch customer service. Good communications and helpful throughout, would use them again, especially at these prices. These are fantastic cannot recommend highly enough. They are great value , having searched the internet as I wanted black ones, I could not beat this price. Well packed , cannot rate highly enough . Product is excellent, I couldn't believe how much heat it actually radiates. Only issue I had was with the courier service. I was informed that they would call me to arrange a convenient time for delivery, however, they called me whilst I was in work to inform me that they were outside my property with the products. They left the delivery in my back garden. Fortunately it was there when I came home, so, no damage done. Highly recommended both in terms of the quality and lookof the radiators and the superior service. All round superb. Thank you. 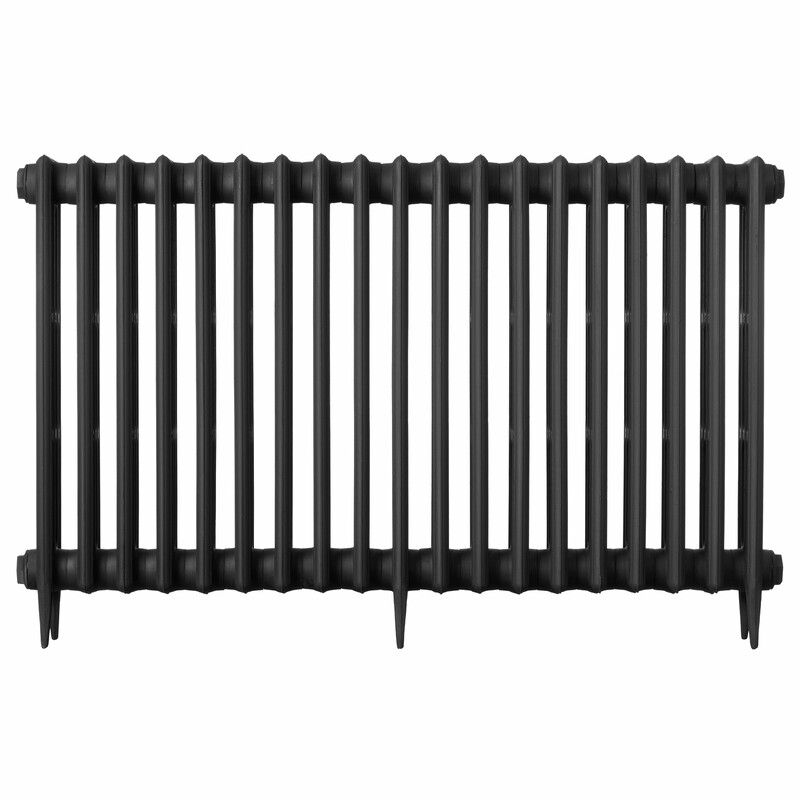 Great radiator, in fact THE best radiator I've ever owned. I fitted an electric element and use it as a super brilliant alternative to a horrible heater. Fantastic customer service too, thanks for sending the blanking valve, really helpful :) The website is very informative and easy to navigate, the prices were the best I'd found too: I'll be recommending you to everyone. I gave a strict instruction that you should notify me before dispatch. The delivery arrived without any contact. Not very happy seeing that Elaine faithfully promised that this instruction would be adhered too. 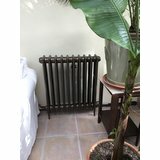 I bought 3 of these radiators, which are very nice and a true reproduction of the original ones but what I am more pleased about is the customer service. They are extremely helpful. I will return to buy the rest of my radiators here. I highly recommend this shop. This is one of two radiators I bought. Looks great and great value. Linen white - very pleased with them. These cast iron radiators are fantastic. Delivered promptly. Easy to install. Stay warm for longer. And look super cool. Perfect product, looks great, super fast delivery. Will be ordering all my radiators from here. 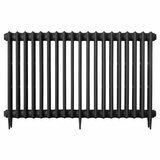 I have purchased several column radiators from Coventry on separate occasions and I have thus far been very pleased with them. 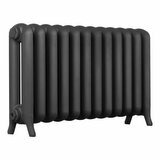 I chose to keep the radiator in their original matt black primer colour and they look great. When first used they do give off a mild smell initially but I presume this is simply a consequence of the primer settling in on being heated for the first few times. Delivery has been prompt and without issue. 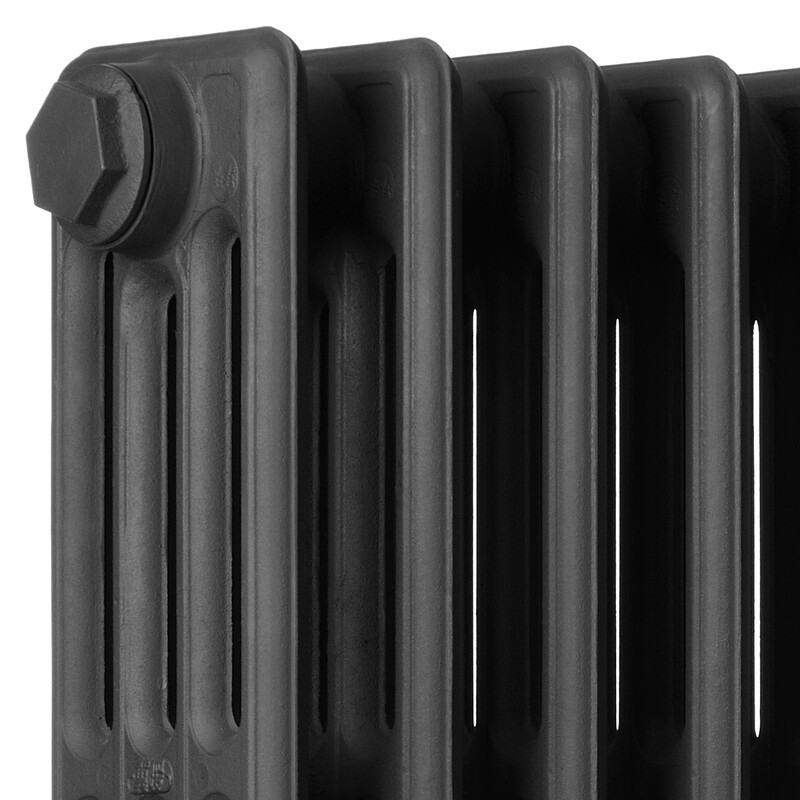 Be aware the larger radiators are VERY heavy, you will need at least three men, ideally four to get them up stairs! Good product. I can highly recommend. 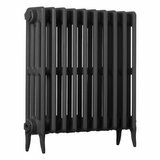 I had three of these radiators fitted in August they look great in my victorian house. Much better I think than others I have previously bought at much more expensive prices. I have waited until I had them switched on to do this review and can now report they throw out a wapping heat. 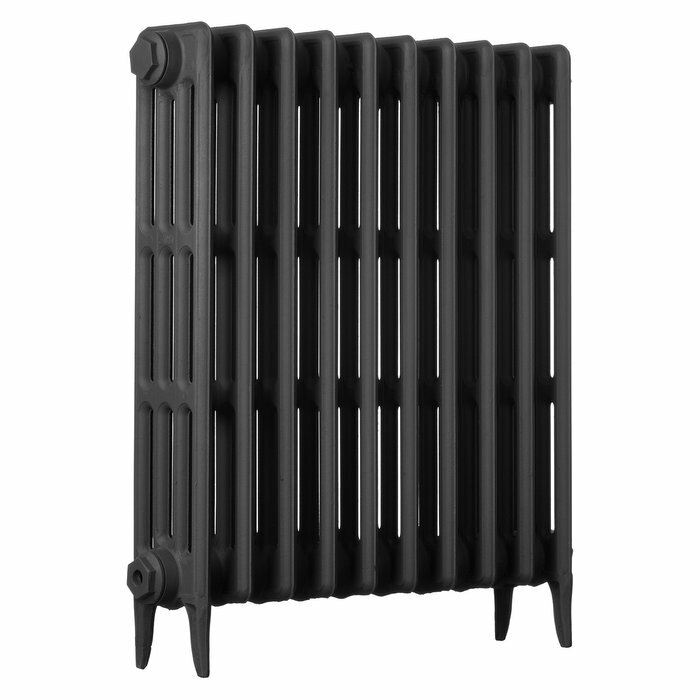 Excellent radiator - bought with 3 x 19 section radiators. Great customer service and excellent radiators. Satin black is an excellent choice of colour and is perfect next to white wall. Would buy again. These really pump out the heat as well!! Looked at many different cast iron radiators - on many sites - but chose these. They look great and the Satin black finish is perfect against white walls. The customer service was excellent and everybody who has seen these radiators in situ on my new wooden flooring has commented on how great they look. I don't write many customer reviews - but I've had great customer service and am extremely happy. Just be aware the 19 section radiators are V heavy and can only just be moved by 2 strong men!! By the time you have moved 3 of them you know about it! Good service,efficient and helpful telephone manner. 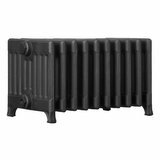 Hello there, My wife & I purchased, 26 of these radiators last September. Coventry were a dream to work with from configuration through to delivery. The rads are working great. Does exactly as it says on the 'web'. Great product, great price, great supplier. Thank you. Easy to place an order and quick delivery and all at a reasonable price. 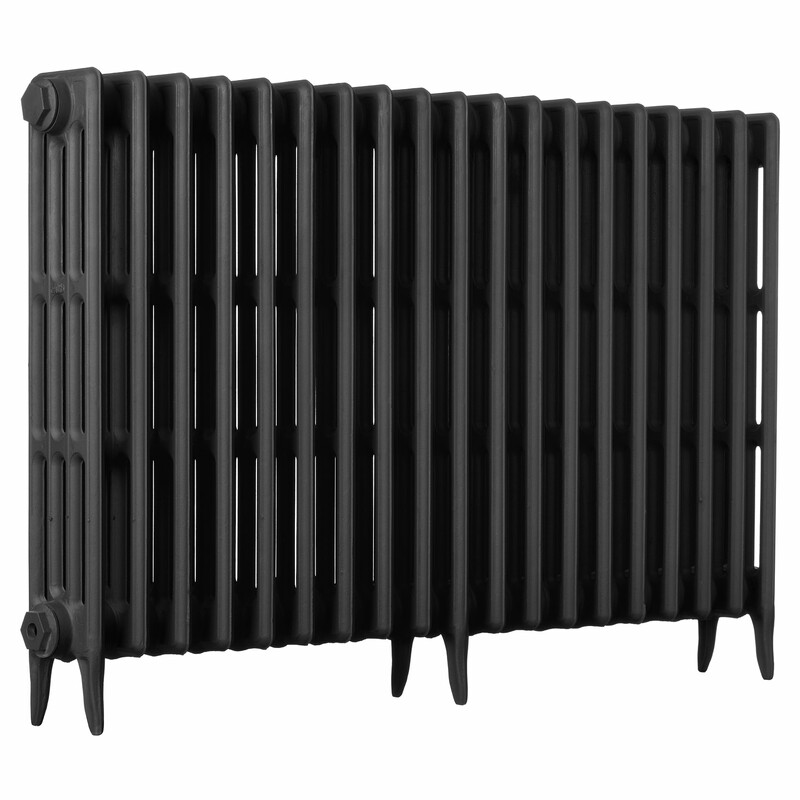 Ordered this particular radiator in Satin Black and it looks stunning. Lovely to be able to put a traditional radiator back into our old home and bring the room back to life with such a focal point. Have ordered all our downstairs radiators from this Company now and their service that they provide is unbelievable. 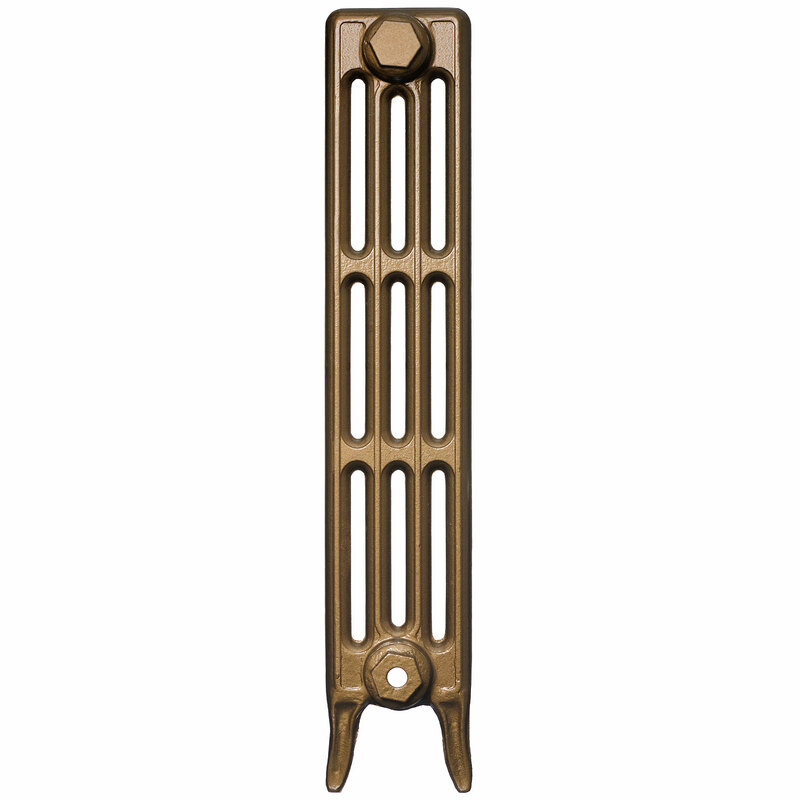 Will be purchasing at least another 5 traditional radiators from them. This certainly is a Company that gives its customers a 'before and after' care service of 110% . Friendly and helpful advice, quick delivery and good quality - what more could you ask for? Have just received an order of 3 of these radiators. The Company is a treat to deal with. I have had to ring the customer service department a couple of times for advice in regards to fitting/flushing and nothing is a problem. The service is superb and I cant praise them enough. In total I now have 4 Victorian radiators from this firm and will certainly be ordering again. first class service, very pleased with our radiator and very fast. The yard is worth a visit! !we collected our radiator and ended up buying a lovely length of oak at a very good price. Great look & great value!! 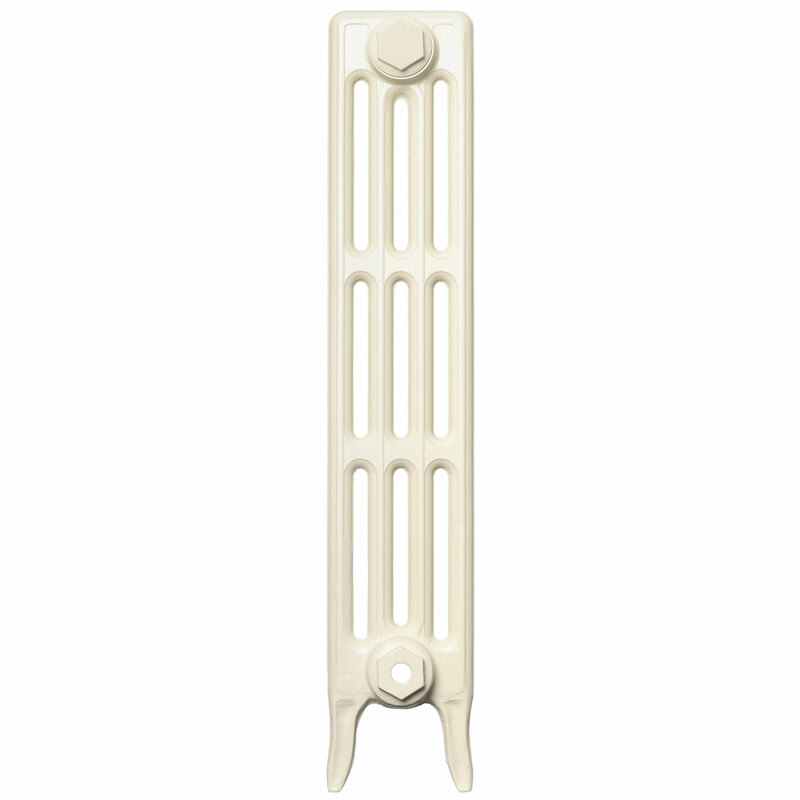 We have bought various sizes in the 760mm & 660mm traditional four column radiators. We are really pleased with not only the great heat ouputs these radiators give out, but the authentic look the have given our home. They were great value, I couldn't find cheaper on the net. The help & advice from the staff was excellent too. Have already recommended them to friends.